Have you heard the news ????? Hi Folks hope you are enjoying the weather. 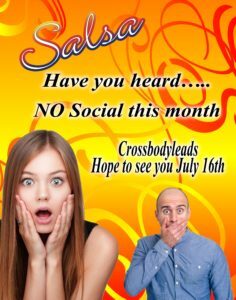 Quick note to say there will be no Salsa Social this month at Mapperley. I know, what are you going to do? Did you miss us in June? Come join us in July!